Contact us today for new semi-custom websites! BE UNIQUE. REACH YOUR COMMUNITY. 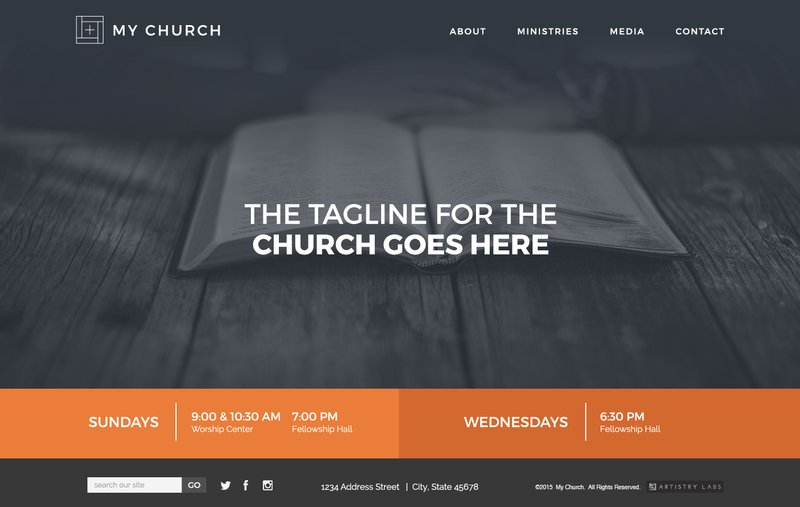 Browse through the design templates below and choose the layout that best fits the needs of your church. Customize your design with your church logo, photography, events, content and colors to build the design that speaks to your community. All designs are mobile responsive for a consistent experience on any device, and come complete with website hosting as well as an easy-to-use content management system (CMS) for updating your website background photos, text, blogs, podcasts, images, videos and so much more! 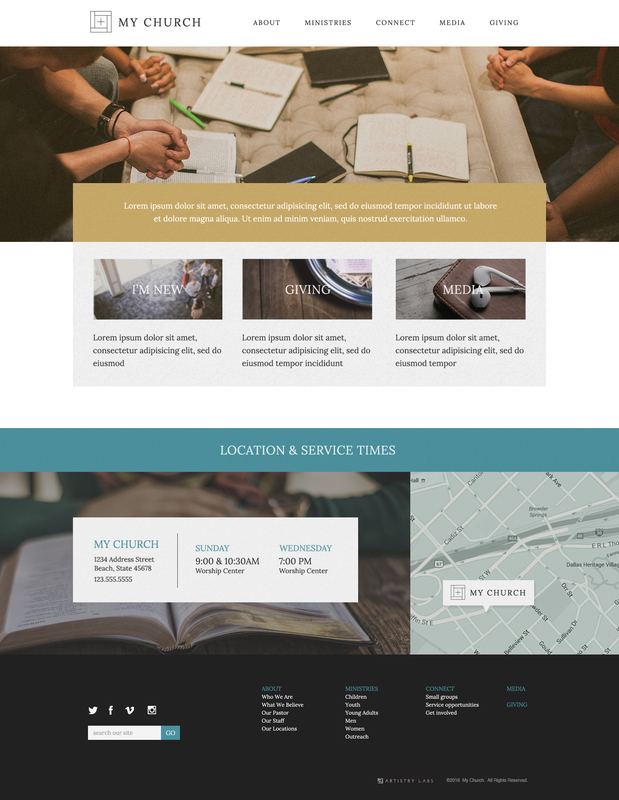 Contact us to get your customizable website template started for your church today. We also offer fully custom websites that are 100% calibrated to the needs of your organization. 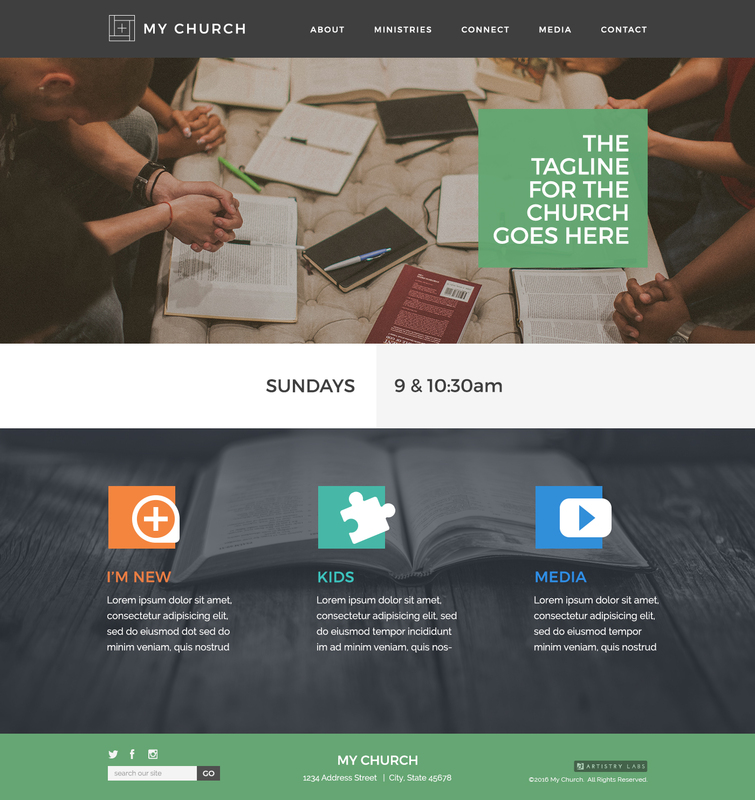 Start a conversation with our representatives about how we can design a website that is perfect for your church.